SamuiBus.com | Book Airport transfer to Taling Ngam in just a few minutes! Perhaps that is why it is considered the paradise, which you can find there. Taling Ngam is an ideal place for loving couples. The beach is famous for its sunsets. Staying here in the evening you will be a witness of an incredible play of lights and colors – the real painting of the sky. Taling-Ngam Beach is an area in the south-west of Koh Samui, it is more wild and less touristy than other parts of the island. 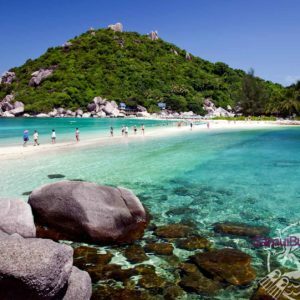 Get from the Koh Samui Airport to the hotel in Taling Ngam Beach and back will be so easy if you will think about it in advance. Just book Transfer service!